Last night we made another Blue Apron meal. 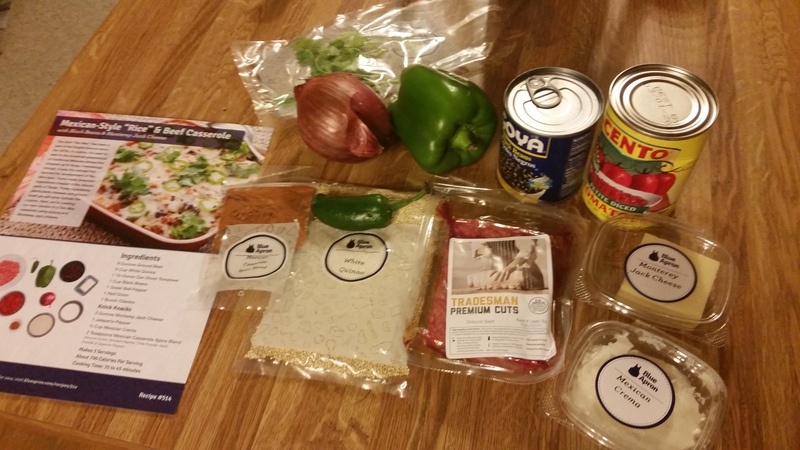 For those who don’t know, Blue Apron is a pretty awesome food delivery service. They deliver recipes with all the correct quantities of ingredients (like a single stalk of celery or a little cup of bagoong) you need in a refrigerated box to your door. We get 3 meals at a time and they’re supposed to serve two but we almost always have leftovers. The recipes are typically atypical and feature interesting ingredients and cultural influences. 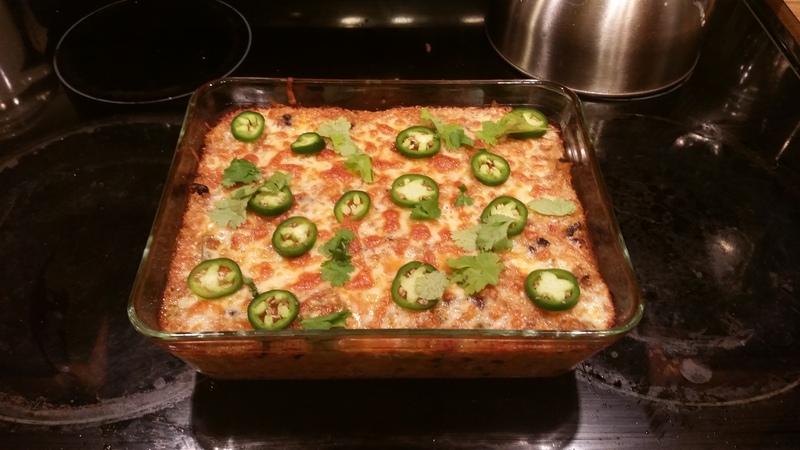 Last night we made a Mexican style casserole with beef, quinoa, veggies, cilantro and a few other things. It wasn’t our favorite so far but it wasn’t bad. After dinner I spent a few hours buried in C code for a class I’m taking and then took a Dr. Who break. I needed the break after bashing my head against the monitor for hours. My coding skills are pretty rusty but I managed to get some peripherals for the microcontroller configured before stumbling to bed and rudely removing Indy from my her spot on the bed. Today it was 67 degrees! I don’t think winter is coming no matter what the poor mostly dead Stark family says oops, spoiler ;)hmm, now I want GoT to come back… and House of Cards, yay TV! Amanda and I decided to cancel our TRX class in the basement dungeon of the old NCSU gym and leave work early to take advantage of the sun and the warmth. We wanted to run but decided that we should take it easy on our injuries since we ran yesterday. We did take Indy for a great walk though and she had an awesome time jumping in the creek and getting very stinky. 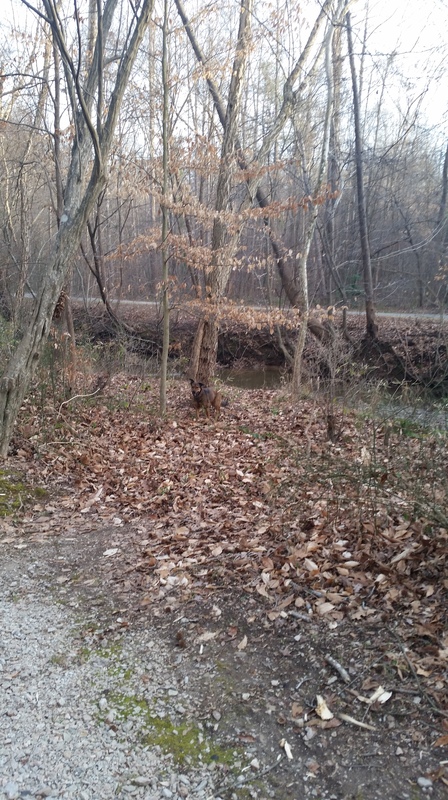 She would disappear from time to time over the bank of the creek but would always come bounding back soon. Tonight, more Blue Apron, yay! More Dr. Who, yay! and more coding, blerrg.